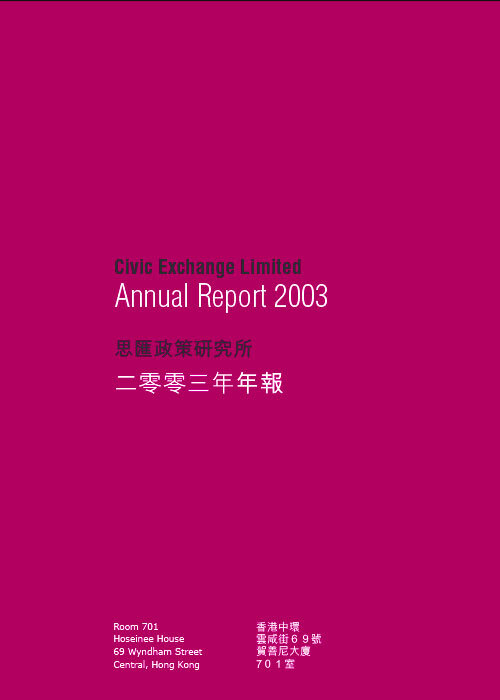 The past year has been a defining one for Civic Exchange, as it has been for Hong Kong. The outbreak of Severe Acute Respiratory Syndrome (SARS) made us realise the importance of building social capital in our society so that citizens can fight adversity together effectively. 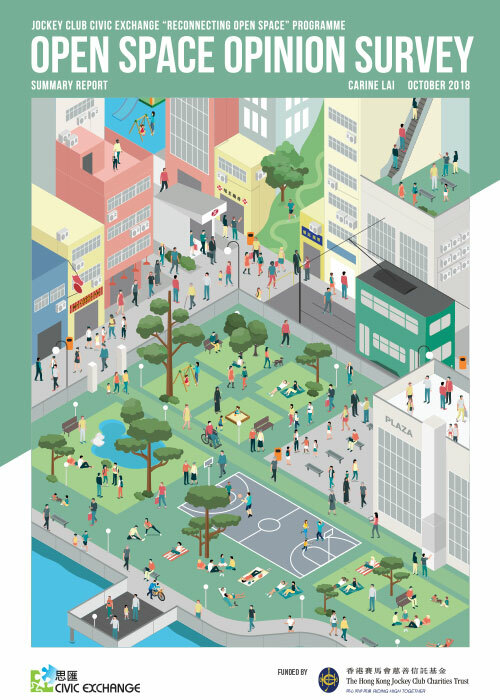 Although there was sadness over the many infections and deaths in the community, Hong Kong people were also proud of their ability to come together to overcome the unexpected public health challenge that paralysed the city for three months. At a time of crisis, Hong Kong people proved they could be compassionate, generous, cooperative and professional. The experience gave Hong Kong people back their sense of dignity and pride, which has suffered in recent years as a result of self-doubt and uncertainty about how Hong Kong fits into a rapidly modernising China.